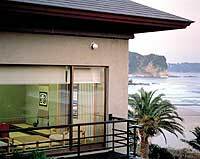 Kurofune Hotel provides scenic views of Shimoda Bay from every room. The cordial service of the staff and delicious seafood cuisine are particularly popular among guests. The main baths on the 7th floor include open-air hot spring baths and saunas. It is built on a slightly elevated hill where views of the Pacific Ocean and Izu's seven islands can be seen. From your rooms, take in the fresh air from the sea and watch the lapsing waves at Oura bay and Nabeta beach. 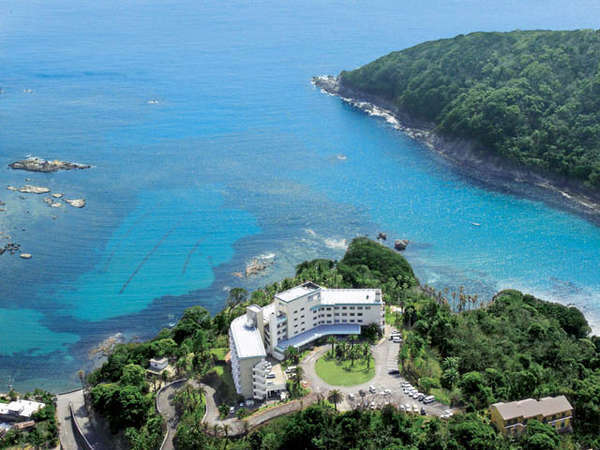 Hotel Izukyu is located in Shirahama, one of the best eight scenic points in Izu Peninsula and overlooking the majestic Pacific Ocean from the room,lobby and open-air bath.It is a full-scale resort hotel blessed with facilities and great natural beauty. Shimoda Jyuraku Hotel is a modern resort hotel built at the Kakisaki coast.Izu Shimoda has valuable history of opening the country to the world and a lot of legends.These minds live now and the emotion overflows on the hot spring resort of Shimoda. 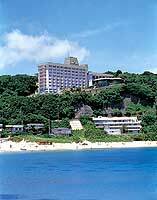 Shimoda Bay Kuroshio is a resort hotel standing on a hill overlooking Shimoda Bay. The seafood dinner is served in rooms which all face the ocean. Please enjoy and relax in the baths and spa area. 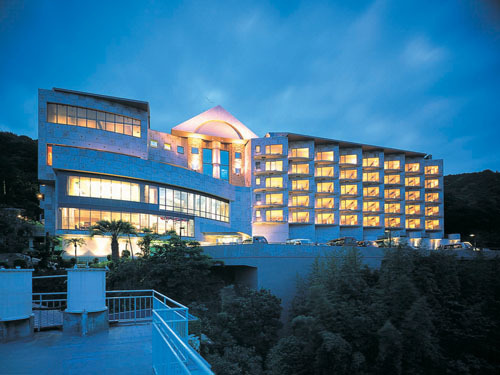 Shimoda View Hotel is located on a hill commanding views of Izu Seven Islands in the distance. The view seems like a picture with the small islands dotted along the beach. Please also enjoy the seasonal cuisine on offer. Toutei The Japanese-Style is a hideaway retreat with 13 guest rooms located on a private beach-like white sand inlet. This ryokan boasts Japanese seafood kaiseki cuisine that changes every month. 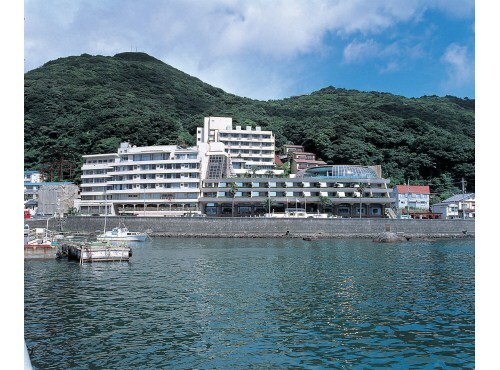 Shimoda Central Hotel owns a source of natural hot spring water and utilizes this throughout the bathing facilities including the main bath, open-air bath, hot spring pool and all the baths attached to guest rooms.